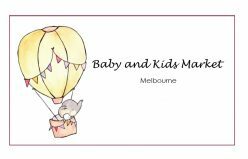 Baby and Kids Market Melbourne provides you with a wonderful opportunity to promote your business to your target market by connecting you with local mums and dads. We would love you to showcase and sell your products or services at our Market and invite you to register your interest by using our contact form. We will then email you a few questions about your business so that we can use this information on our Facebook Page to promote your business. 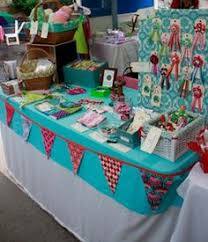 Anyone wanting to sell new or handmade goods is classified as a Business Stall even if you don’t have a registered business or an ABN. Approximately 1 metre floor space beside your table for a clothes rack or small table. In many cases Business stalls, may bring a second clothes rack, if required please confirm this by emailing us on hello@babyandkidsmarketmelbourne.com.au prior to the market day. Market day support staff and of course, a whole lot of fun! Ensure you have plenty of colour flyers/business cards to hand out. Remember not all shoppers come to the market to buy new goods/services so be sure to have something for them to take home for future reference. Make your stall as inviting as possible as this will attract more shoppers, be sure not to overcrowd with too many items. Ensure your signage is clear and sells your business well as that’s the whole purpose of your day. Clearly price all items and offer market specials to encourage sales. We suggest having a promotional code/sticker on the flyer should a shopper take a flyer for future reference. The offer may not be as good as what they receive if they make a purchase on the day however an incentive of some kind that will also assist you in tracking all future sales to determine the overall success of your stall at Baby and Kids Market Melbourne. Connect with the shoppers by starting a conversation; this is a great way to start talking about your product/service. At the end of the market you may or may not have sold a large volume of items, however, you have networked with many new local families and that is a great start!